From natural wonders to ancient ruins, Croatia is an endless playground for anyone young at heart. 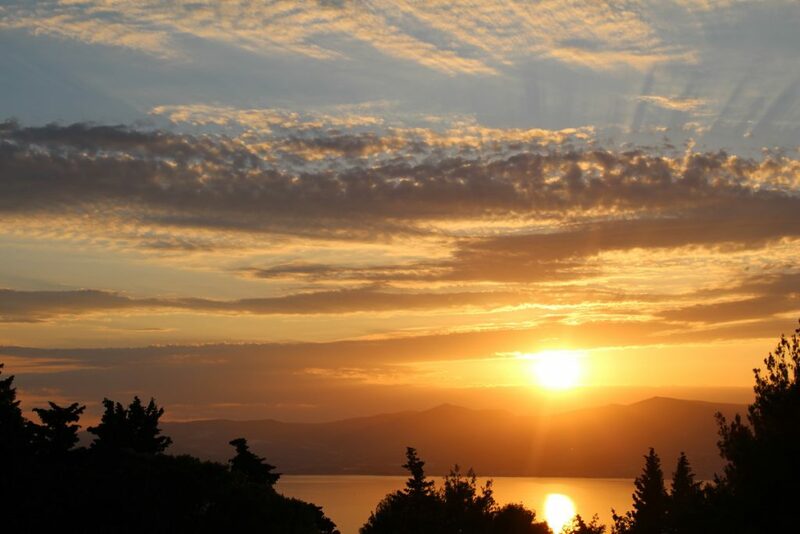 Affordable, accessible, and amazingly scenic, this Dalmatian country has plenty to offer families, couples and solo travelers. 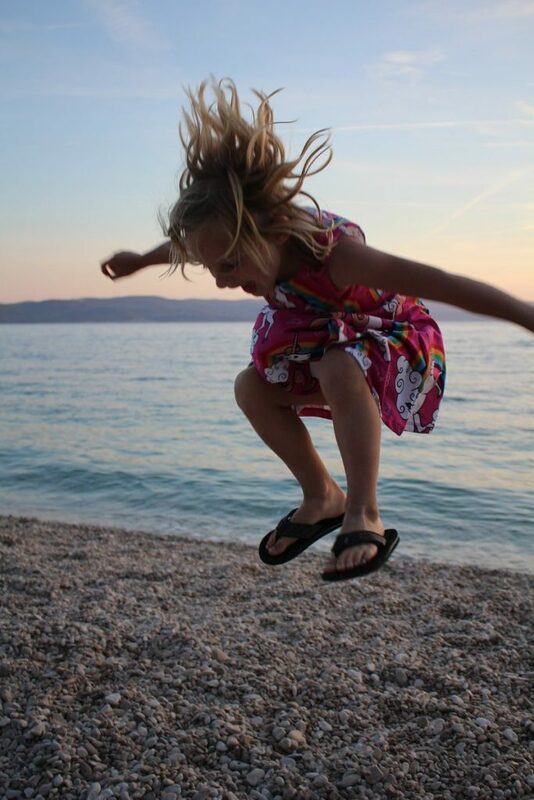 Discover 7 unforgettable family-friendly activities in Croatia that will leave you awestruck. 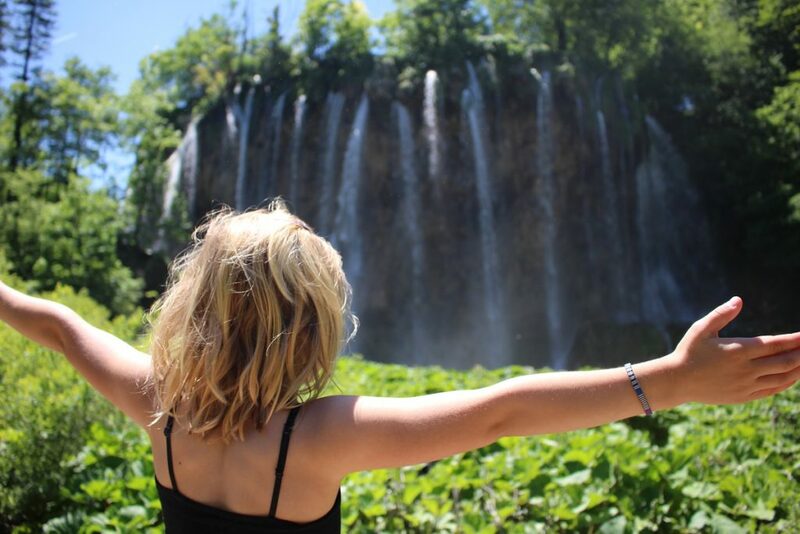 Designated a UNESCO World Heritage site in 1979, Plitvice Lakes National Park is home to a chain of 16 terraced lakes joined by ever changing waterfalls. 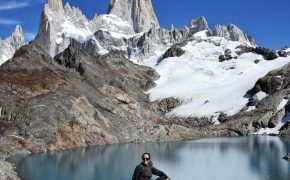 18 kilometers (~ 11 miles) of wooden boardwalks and hiking trails wind around and across the lakes, taking you over translucent waters that alternate between roaring cascades and calm pools. Incredibly kid-friendly, the countless waterfalls, crystal clear water, and mysterious caves will mesmerize the whole family. Catch your breath on the ferry ride between the upper and lower lakes, and reward young hikers with an ice cream break. You can easily spend a whole day exploring the park; you can also shorten your day and still cover the park’s highlights. Full trip report. Set on a small peninsula, the city of Zadar boasts Roman ruins, medieval churches, and waterfront cafes. But the number one attraction, especially at sunset, is the Western end of the Riva, or seaside promenade. The world’s first musical pipe organ played by the sea, the Zadar Sea Organ (morske orgulje) extends 230 feet along the Riva. Steps cleverly cut into the promenade have 35 underwater pipes built underneath. The movement of the sea pushes air through the pipes, and the waves create a harmonic effect. The Riva also features architect Nikola Basic’s Sun Salutation. This 72-ft wide circle is filled with 300 multilayered solar panels that collect the sun’s energy during the day. From sunset to sunrise, the panels light up in different patterns meant to represent the motion of the solar system. 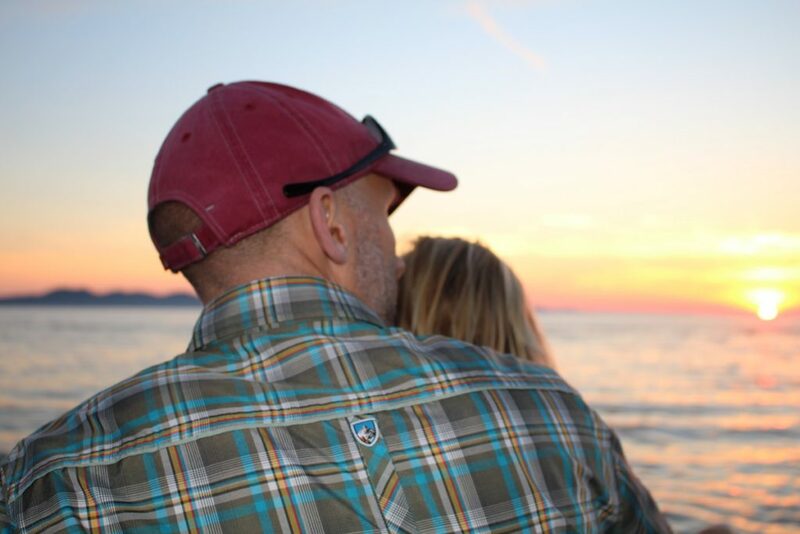 At sunset, tourists and locals gather on the Riva for a front seat to Mother Nature’s splendor. Bonus: Finish the evening with a scoop of delicious Italian-style gelato at Gelateria Eva. 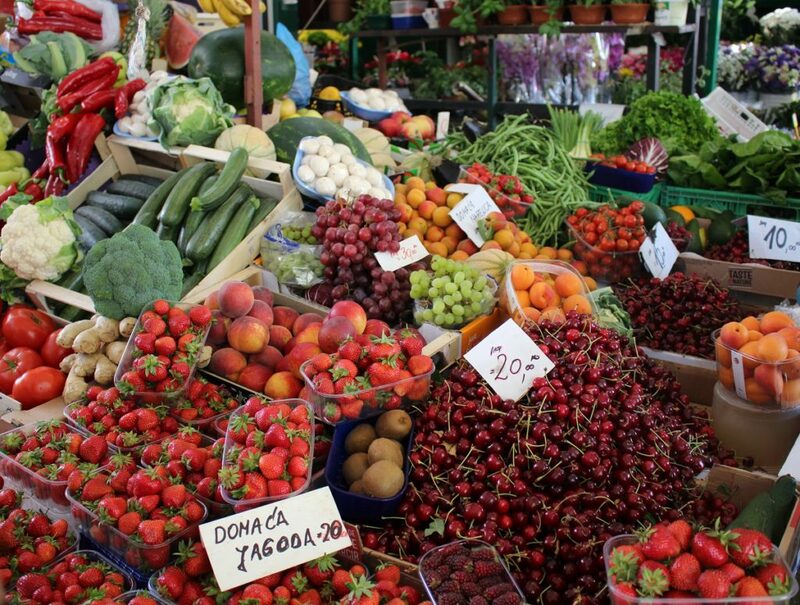 Bustling open-air markets are found at the center of Croatia’s cities and towns. Stock up on fresh fruit, vegetables, and flowers, plus nuts, honey, homemade cheese, cured meats and more. During our stay in Croatia, we were frequent visitors to the Makarska and Split markets; we also visited the stalls in Zadar and Omis. We couldn’t believe how inexpensive the prices were compared to farmer’s markets in the U.S.
We bought 1 kg (2.2 pounds) of cherries for 10-20 kuna (only $2-3!). Our favorite finds were cherries, strawberries, candied oranges and almonds. Croatia is known for its pebble beaches. Smoothed by the translucent waters of the Adriatic Sea, crescent-shaped stone beaches cover the Dalmatian coast. We were lucky enough to rent an apartment steps away from Punta Rata beach in Brela. Ranked by Forbes as one of the world’s top ten most beautiful beaches, Punta Rata is shaded by pine trees and perfect for families. Don’t worry about kids missing the sand. Little ones can spend hours sorting through the stones. From a distance, the sun-bleached stones appear white, but upon closer inspection, you’ll find a myriad of soft colors. Stand-up paddle boarding is a wonderful way to explore Croatia’s coastline. Renting boards is easy and very affordable. We rented three boards, including a smaller board for our girls to share. They loved having a board of their own. We paddled daily up and down the coast to discover some of Brela’s more remote – and empty – beaches. From the water, we looked back for a different perspective of the shoreline, the buildings clinging to the cliffs, and the towering slopes of the Dinaric Alps. 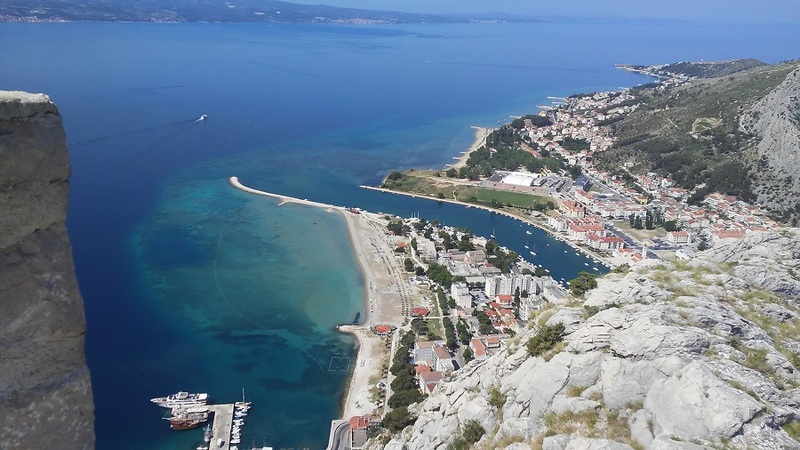 Once ruled by pirates, Omis is a small Dalmatian town that sits at the mouth of the Cetina river. Evidence of the town’s proud and turbulent history persists today. 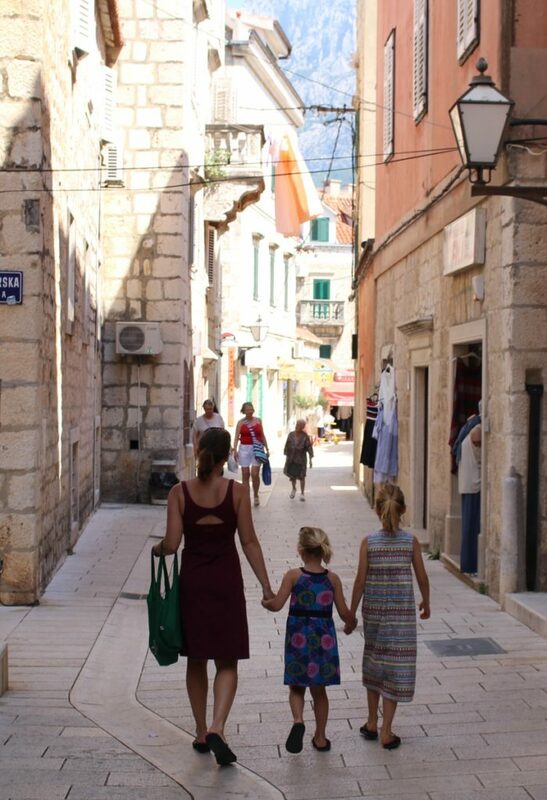 We spent a day exploring the ancient buildings and streets, hiking high above the town, and playing on the beach. 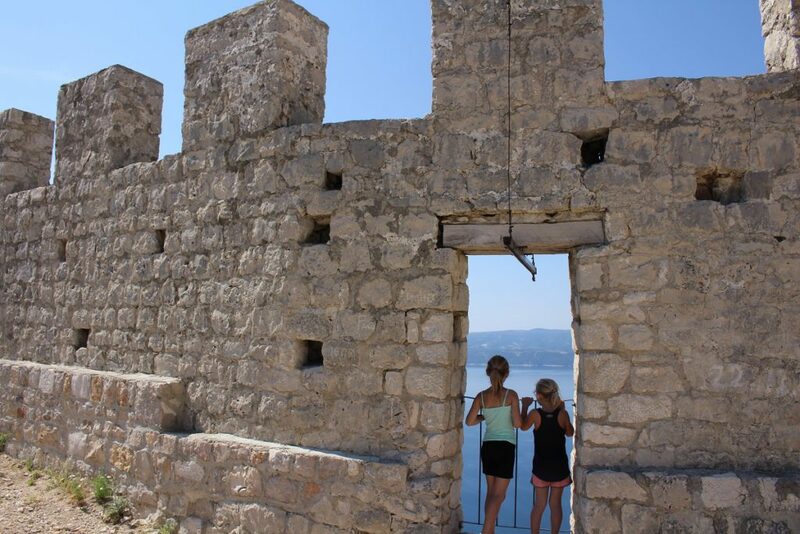 In the 15th century, pirates strategically built Starigrad Fortress on a peak overlooking the town, river and sea. We started our hike early to beat the heat on the exposed slopes. 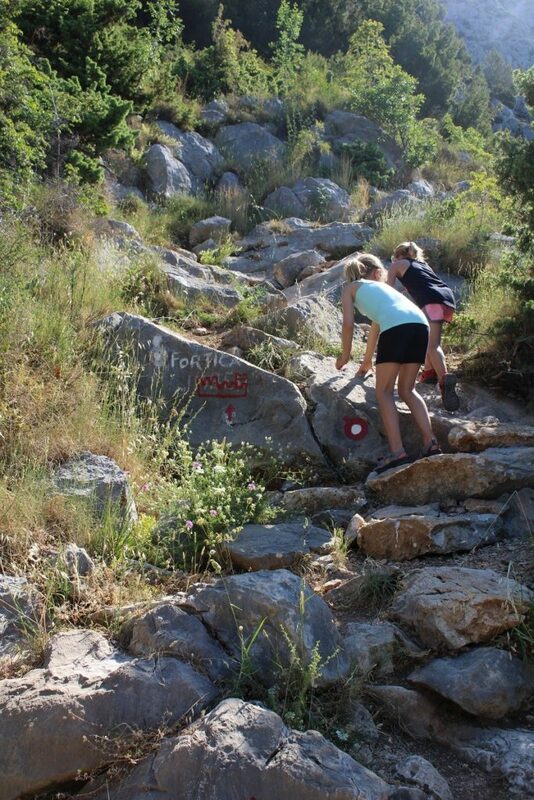 After following signs from the center of town, the trail quickly climbed up the mountain. Within minutes, we looked back to stunning views. We reached the fortress in about 45 minutes. The 360-degree views from the tower were incredible and well worth the climb. After refueling with sladoled (ice cream), we headed to one of Croatia’s most popular sandy beaches: the almost half-mile long Velika Plaza. Located at the mouth of the Cetina river, the soft, fine sand was created by the river’s fluvial sediments. The entrance to the sea is very shallow, and you can walk hundreds of feet from the shore. It’s a great beach for small children and the perfect place to cool off after a summer hike. Ancient ruins. Bustling squares and markets. Incredible sunsets. The city of Split has something for everyone. 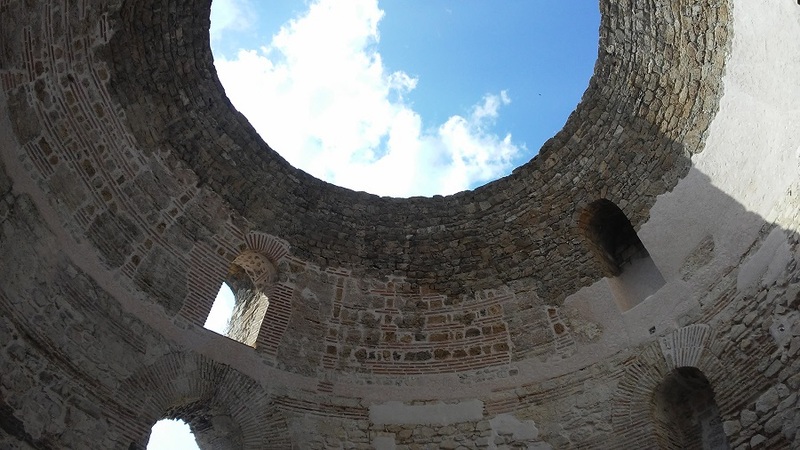 Some of the most valuable surviving Roman ruins on the Adriatic Coast, Diocletian’s palace is the main attraction and beating heart of Split. 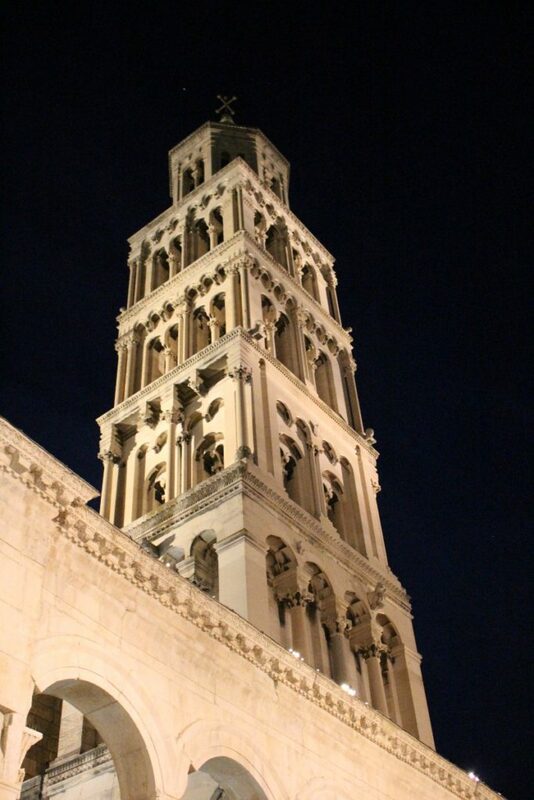 Built as his retirement palace, Diocletian’s complex occupied more than 300,000 square feet. Later, Christians built a church and bell tower inside the palace gates, and then the old town of Split grew within the ancient fortress. Shops, cafes, restaurants and even apartments spill onto the narrow streets of the palace. We spent hours exploring this ancient city, including several stops at Luka Ice Cream and Cakes. The freshly made, original flavors were out of this world. 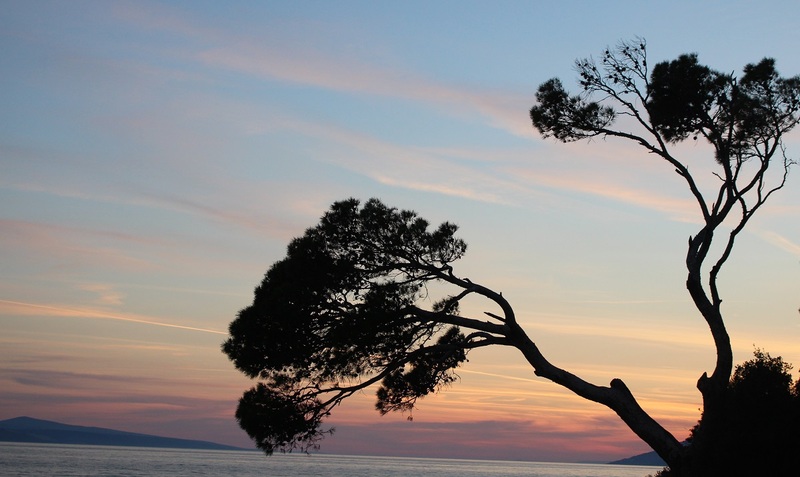 Known as the lungs of Split, Marjan Hill is a pine-covered peninsula that overlooks the city and sea. 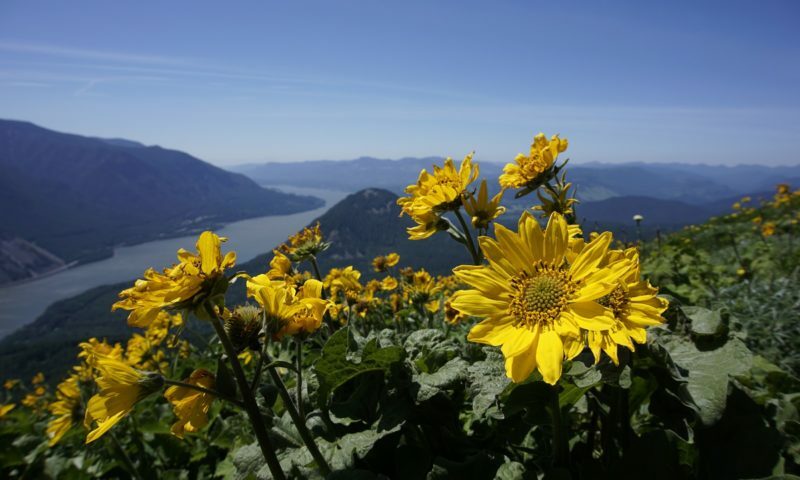 Trails criss-cross this beautiful nature park, and no trip to Split is complete without climbing the hundreds of stairs to the park’s overlook for incredible views of the city. 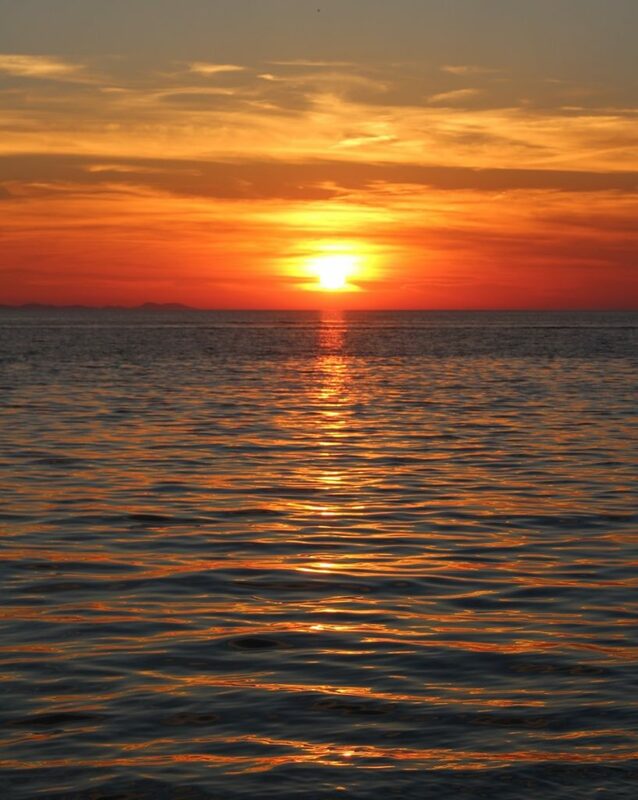 Arrive in time for sunset, and you’ll be rewarded with fiery skies and seas. 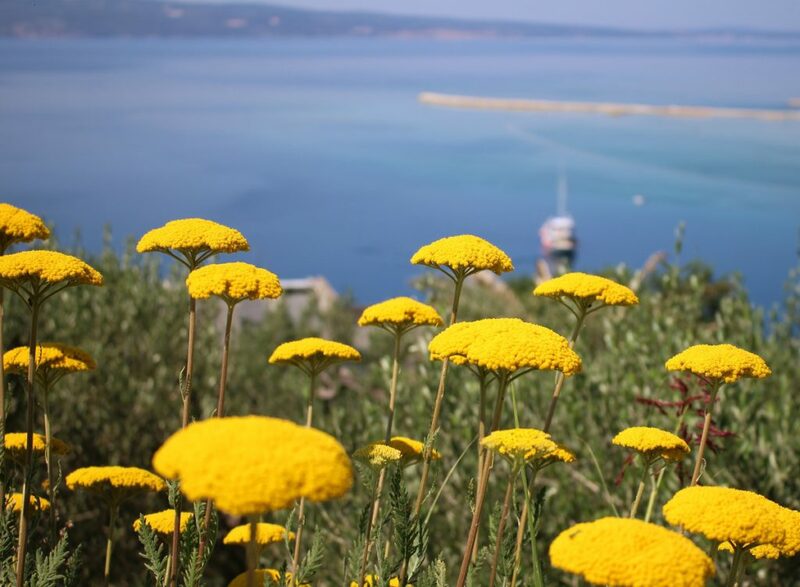 From its famous pebble beaches to ancient Roman ruins, Croatia has something for everyone. 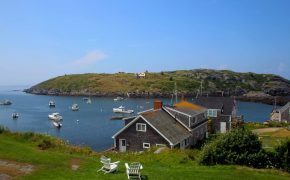 Don’t overlook this vibrant country for your next international adventure! 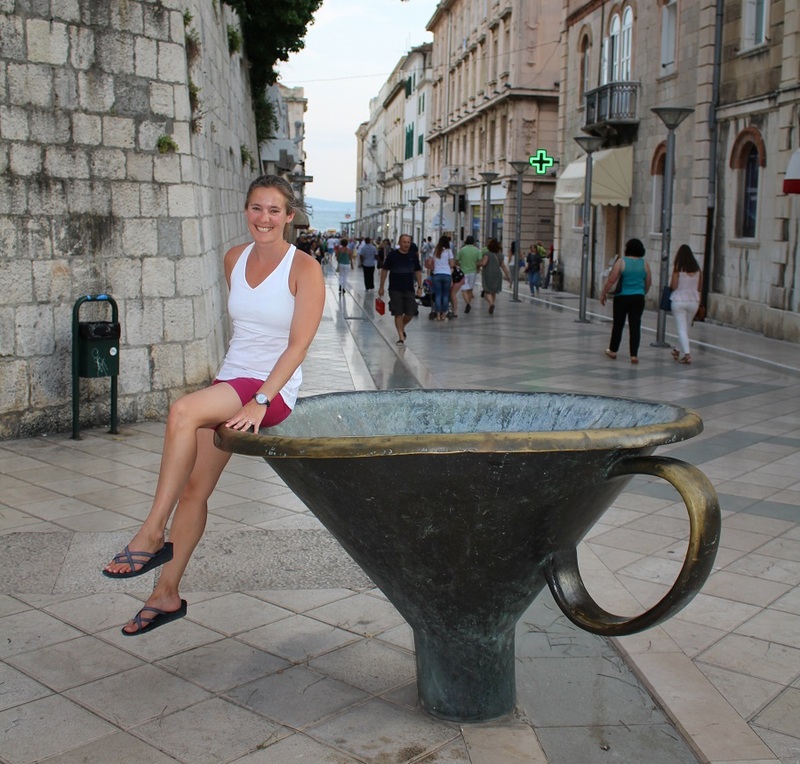 Nicole enjoys the café culture in Croatia. Pictured in KÜHL tank and shorts.